“Lock her up, lock her up!! !”—Chant led by Retired General Michael Flynn during the 2016 Republican National Convention referencing the FBI’s investigation into Democratic presidential nominee Hillary Clinton’s email server. 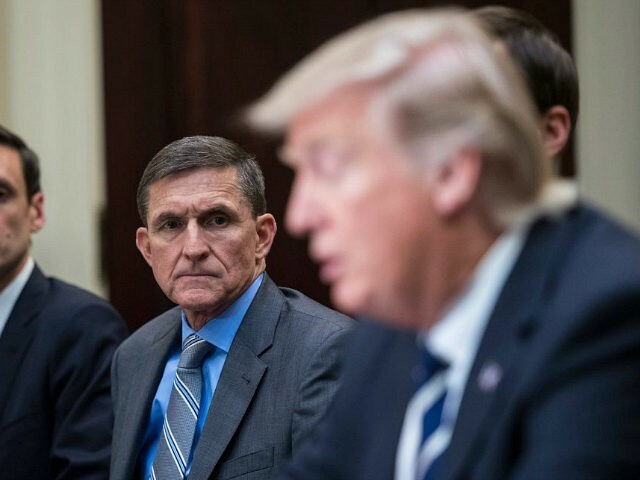 In February, when Michael Flynn resigned his post as National Security Advisor barely one month into the job based upon leaked reports that he lied about discussions that he had with Russian Ambassador Sergey Kislyak shortly after President Obama levied sanctions against Russia for its role in hacking into DNC computers during the transition period, Flynn was hailed as an “honorable man” by President Donald Trump and most of his surrogates on the daily news shows. After six weeks of hearing his name called out for possible investigation and indictment, Flynn, through counsel, now indicates a willingness to testify before the Senate Intelligence Committee and the FBI in exchange for immunity from prosecution. The irony, folks, is indeed rich as the rats prepare to abandon the USS (or Soviet Navy Ship) Trumptanic. Now, six months later, Flynn is having to run from his own words, but to his chagrin, they apply directly to his possible collusion with the Russian government during the campaign, and more ominously, may implicate other campaign figures—or even the president himself. As to the procedure of possible immunity, as a lawyer who has sat through countless proffers with the FBI and DEA while representing various clients, I am not sure that assurances of no prosecution are warranted on the front end for Flynn. You see, most regular folks facing possible federal indictment have to sit down and come clean first, and federal prosecutors decide after hearing what they have to say whether to grant immunity or to provide a memorandum highlighting their substantial assistance if he or she is later a named criminal defendant. In my estimation, such should be the modus operandi in Russiagate for any and all potential witnesses and defendants to assure transparency. No, counsel Kelner, most reasonable persons who are under investigation gain no such front-end assurances. What amazes me, however, is that if Trump et al truly believe that Russian interference had nothing to do with his victory over Secretary Clinton, and if neither the campaign, Trump or his closest advisers were beholden to Russian oligarchs from a financial standpoint, why lie about it at all? The fact that Trump has yet to release his financial information only fuels further speculation about his Russian business ties. Further, the record is already clear that a retired general’s salary was not good enough for Flynn, one who made nearly $70,000 in 2015 from Russian interests. I also refuse to believe that Trump did not know that Flynn got paid during a 2015 trip to Russia where he sat next to Russian President Vladimir Putin during a banquet for the RT media network. Still, we cannot lose sight of the fact that Flynn is now eligible to be prosecuted under a Logan Act that forbids private citizens from public “official” comments like the ones he made to the Russian ambassador about Obama era sanctions. Folks, maybe Trump knew about Flynn’s collusion and figured that his adoring fans that comprise the 30 something percent that approve of his first two months in office simply would not care? Or, perhaps he knew and simply refused to see anything wrong from a criminal standpoint because as Little Lord Fauntleroy, he believes that patricians like himself are free from doing what the rest of us plebeians have to do with respect to the law? Whatever the case, with Trump also using his Twitter fingers to excoriate conservative Republicans over Trumpcare, the next few months most certainly will be worth watching as whispers of impeachment may come to a head for an administration that seemingly can accomplish very little to date due to rank incompetence and alleged scandal after alleged scandal. Next What if Morehouse College had not been founded 150 years ago? Well didn’t you just wrap that up and put a pretty little red bow on it……great read Mr Hobbs. As a little girl in church, I was always taught, whatever seed you sow it’s coming up. So Flynn you sowed and chanting to Hillary” lock her up” the seed has become a branch and it’s pointing you in the directions of the jail. LOCK HIM UP and throw the damn key away! I’m Pamela Mount and I approve this message!